SLAPFISH FISH TACOS AND CLAM CHOWDER ARE $1 TODAY (FEB. 1ST) - NEWPORT BEACH - EAT WITH HOP! $1 FISH TACOS + CLAM CHOWDER TODAY ONLY! If y'all can survive this crazy windy weather today to get this awesome deal, HIGH FIVE! 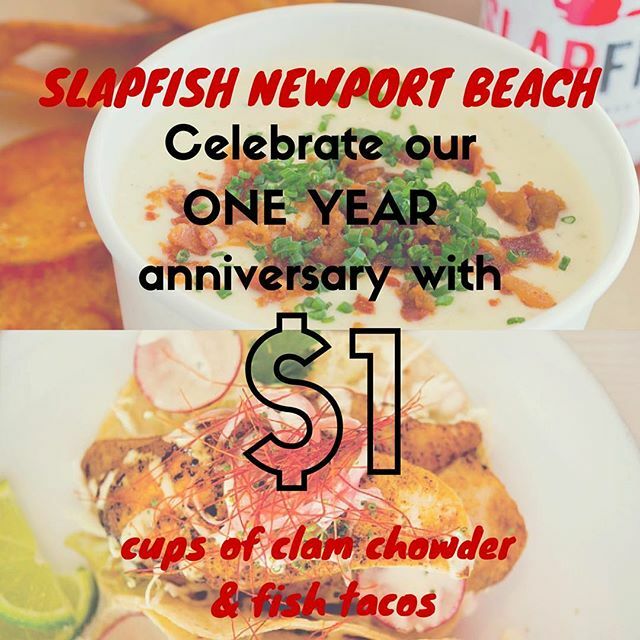 Slapfish's Newport Beach location is celebrating it's 1 year anniversary today by offering fish tacos and clam chowder cups for only $1! I personally love their fish tacos and usually the fish they give...are huge! Like, bigger than the tortilla itself!